I discovered these bamboo facial rounds when browsing the Urban Oreganics Etsy for some of their makeup remover. They sell packs of 10 of these bamboo facial rounds made by Marley's Monsters so i added them to my cart to give them a go. After using them a few times and realizing how much i loved them, i decided to check out the Marley's Monsters Etsy to see what else they offered. Now, they do offer a LOT of natural, handmade mama and baby stuff but they also have some amazing reusable beauty items like these. The facial round to the left is how they look when you first get them and the round to the right is after being washed. You can see how soft and fluffy it gets (these feel like clouds), yet has the bonus of not shedding cotton all over your face. 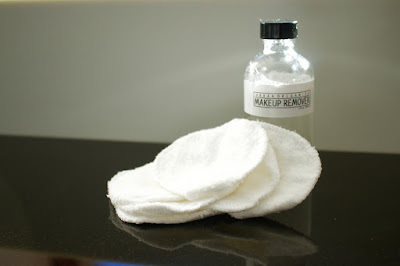 I've used these to remove makeup as well as apply toner and i was very impressed to see how easy eye makeup washed out of them. 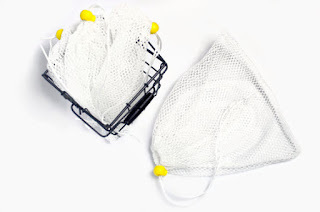 In general i just throw them in a laundry basket (for similar colors) after use but if i took a lot of eye makeup off with them, i got it wet and applied the tiniest dot of hand soap and rinsed it out. The majority of the makeup is then gone from the pad and after ringing it out i threw it in the basket with the rest to be washed. I was surprised and delighted to find out that they can be washed and dried very easily and don't require any hand washing. I just use a gentle detergent, no fabric softener and threw them in the dryer after. Not only do these eliminate a lot of waste but they also pretty much pay themselves off within about 15 washes. 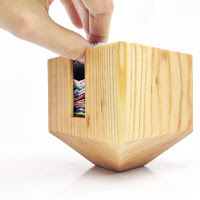 I also noticed Marley's Monsters sell nifty holders for them as well as little laundry bags to keep them separate and stop them hiding in the rest of your washing. So, because i love these things to much i got in touch with the owner and she'd like to extend a 20% discount to you all with no minimum order. You just need to use the code WIFELIFE20 at the checkout and do so before October 31st when the code expires. Do any of you use any reusables like these? If so, share below! I don't use any reusables, but now that I'm changing everything into a more sustainable and vegan life I've been thinking about it. In fact there is so mucho to think about when you have to change almost everything but channels and blogs like yours are a great help which make the change easier. That's a great idea. Definitely something I'm gonna look into after my travels. One thing I switched up before I left was my lady products. I purchased a menstral cup which may not be everyone's cup of tea but super simple once you get used to it. Also I'm travelling in counties with no rubbish disposal systems in place and it can feel tricky sometimes knowing what the heck to do with used items. I would definitely recommend for ladies who are travelling or just wanting to not contribute to more landfill. I've been using reusable cotton, or maybe they are bamboo, pads for about a year now. I absolutely love them. 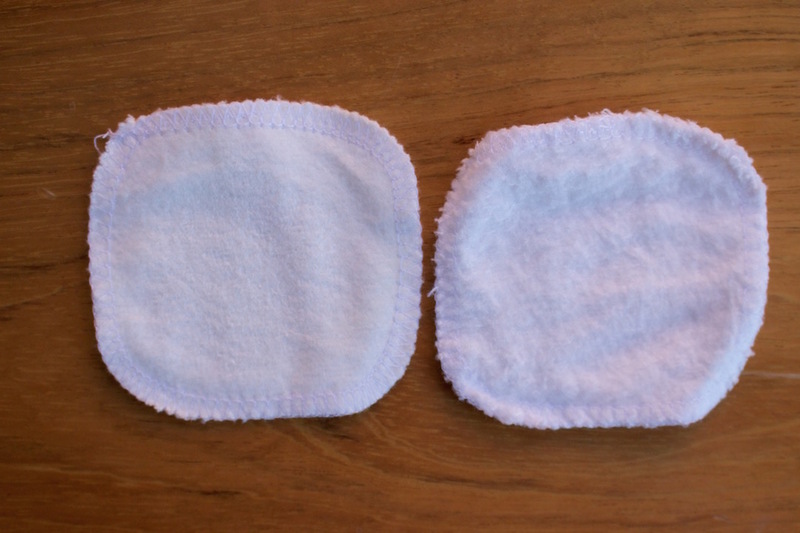 The pads I purchased (from etsy too) are large enough for me to use half of it in the am and the other clean side in the pm. My only concern has been using the pads to remove fingernail polish. Wonder if that would wash out?